Happy to see Balcomb’s Orcas Sunday afternoon, June 10, 2012, off of South Beach, San Juan Island, spread out and foraging for salmon in a flooding tide. They don’t often head east past Salmon Bank, and sure enough, the whales turned southwest and swam across the Strait of Juan de Fuca toward the Olympic peninsula. I have also observed they will then also travel west toward the Pacific, which sure enough they did! Mid-day Saturday June 9, 2012, L-Pod residents headed south, down Haro Strait with an ebbing tide, spread out in many groups. Off of Stuart and Henry Island, we were thrilled to see L-77 Matia with her new baby girl; L-119! And L-41 Mega looks regal; he is the eldest male in the Balcomb’s Orcas, at 35 years old. The whales began to gather closer together and porpoise (fast, lunge) swim! 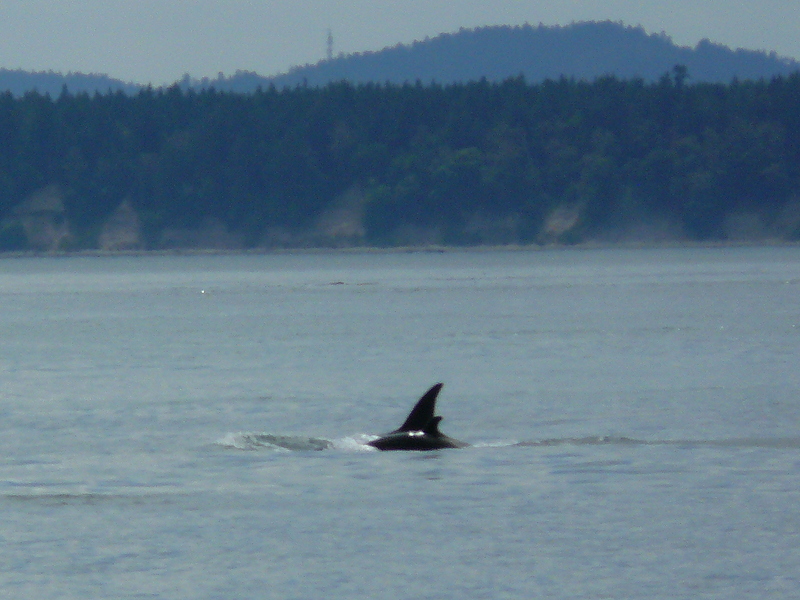 We heard on the radio that J-Podders were off of Lime Kiln State Park, heading north! 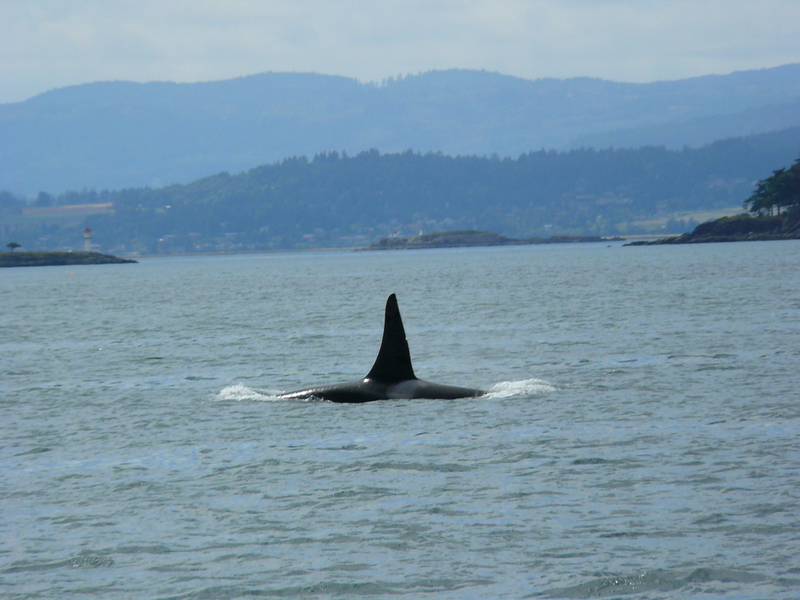 They turned south though; L-Podders joined them and a community gathering of L and J Pod families going back and forth in Haro Strait along San Juan Island, continued for hours! Out at Whale Watch Park, I watched them forage and socialize well into this special day and evening!